Have you, a child or loved one been bitten by an animal? You need a Phoenix Valley animal bite attorney who will do what it takes to ensure that you are compensated fairly for your injuries. Injuries from an animal bite may be very serious, require hospitalization, surgical intervention, and can cause permanent scars in the facial area or extremities. Arizona law is tough on pet owners who allow their pets to harm other people. Lebovitz Law Group knows how to ensure you get the compensation you deserve when you have been injured as the result of an animal bite. We offer free, no obligation consultations to discuss your injury and allow you to learn what our firm can do for you. Under section 11-1025 of the Arizona Revised Statutes, the owner of a dog that bites another person is strictly liable for damages suffered by the person who has been bitten, so long as the person who is injured is in a public place or lawfully (one who has been invited or is a guest) in a private place. The law provides, however, that if the injured person provoked the attack, that may be a defense to a claim for damages against the owner. Provocation is not specifically defined; rather, A.R.S. 11-1027 states that the issue of provocation hinges on whether a reasonable person would anticipate that the conduct of the injured person would provoke a dog. When we say that this is a “strict liability” law, there may still be a defense (e.g., provocation) to a lawsuit for damages. Strict liability essentially means that as long as you fit into the statutory requirements, there is no need to prove that the owner of the dog was negligent, or engaged in any particular behavior (or refrained from taking any steps), in order to prove your case. In fact, A.R.S. 11-1025 specifically says that there is liability whether or not the owner was aware of any past behavior that would indicate the dog had vicious propensities. And unlike the law in some states, Arizona pet owners do not get one “free bite” before they become strictly liable for the injuries suffered by those who are bitten by their dog, so long as the case fits into the requirements of the statute. There are numerous situations in which the dog bite injury does not fit neatly into the strict liability law. Does this mean you have no case? Let’s say that you are bitten by a neighbor’s dog on property owned by that neighbor. Let’s also assume that you were not invited onto the property, and that as a technical matter, you were a trespasser. You might not, in that case, fulfill the requirements for strict liability; however, you can still make a claim, and sue, based upon common law in Arizona. This may require that you prove the dog had a propensity for vicious behavior, or that the owner knew or had reason to know of its aggressiveness. But the possible unavailability of the strict liability statute does not mean there is no case! A statute of limitations, in civil cases, sets an outside limit on when you can start a lawsuit regarding a particular claim. Most personal injury cases must be filed within two years from the date the cause of action accrues,, whether it involves a car accident or other negligent behavior. Generally, this is also true for injuries sustained as the result of a dog bite under Arizona common law. However, claims made under the strict liability statute (A.R.S. 11-1025) are different. The Arizona legislature determined that the statute of limitations should be different, and shorter, than for common law actions. Specifically, A.R.S. 12-541 expressly provides that where the liability is created by statute, an action must be commenced (that is, a lawsuit must be filed) within one year from the date of the accrual of the cause of action. A cause of action generally accrues on the date you suffered the injury. The important thing to recognize is that legal issues in dog bite cases can be complex, and that if you do not have the right lawyer at your side, you could lose whatever claim you may have by failing to pursue it in a timely fashion. How Does Insurance Come Into Play in a Animal Bite Case? You may be wondering how insurance plays a role in animal bite cases. Millions of people are bitten by animals each year, and many claims (and lawsuits) are filed on behalf of the people who are injured. Liability for animal bite injuries is often covered under homeowners insurance or renters insurance. 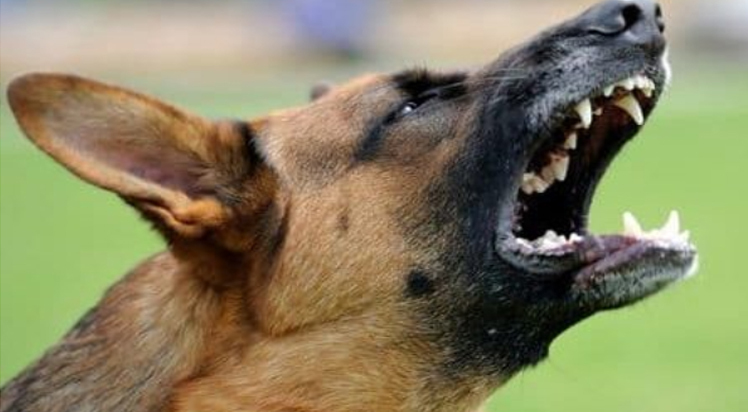 Industry statistics indicate that as many as one-third of all homeowner liability claims are for injuries sustained as the result of dog bites. What does this mean for you? On the plus side, it usually means the presence of an available source of funds to compensate you for your injury. But it also means that at one point or another an insurance adjuster will be involved in the case. Negotiating with insurance companies is neither easy, nor should it be undertaken on your own. Insurance companies are interested in their bottom line, and for them, negotiating your case is a “zero-sum” game. This means that for every dollar they pay you, that’s one less dollar on their bottom line. The goal of the insurance company will always be to minimize your injuries and your losses, and to pay you the absolute minimum they can get away with. In order to combat the rigid posture of the insurers, your best interests are served by having an experienced attorney by your side. One who knows how to negotiate with insurance companies; who means business; who is experienced and knowledgeable; and who is not afraid to proceed to trial when necessary in order to protect your interests. Just under five million people in America are bitten by dogs each year. Around 800,000 of them seek medical attention, and children make up over half of those who require medical treatment for dog bites. In addition, children between the ages of five and nine are more likely to be bitten than any other age group. Hundreds of thousands of those bitten require a trip to the emergency room to deal with their injuries. Injuries inflicted by dog bites can be devastating. This is especially true in the case of young children, but these injuries can have a significant impact on your life no matter what age you may be. Where children are the victims, their size contributes to the fact that they often suffer facial injuries in these situations. Lacerations resulting from dog bites often require plastic surgery, including skin grafts, reconstructive surgery, microsurgery, dermabrasion, and others. And these wounds typically require multiple procedures in order to attempt to rectify the damage done by the bite. Hospitalization is sometimes required after being bitten by a dog, due to the presence of open lacerations, the onset of skin infections, and other causes. In some situations, dog bites have been known to cause bone fractures and even internal injuries. These injuries can be extremely serious, and they can require a lengthy period of treatment. Animal bites can result in serious injuries, many of which may require months, and even years, of continuing medical procedures and care. Call Lebovitz Law Group to get the help you need when dealing with an animal bite.